Multimedia - Australian National Piano Award - The premier piano competition in Australia. Watch a story by ABC News Breakfast. Enjoy the following clips of our 14 fabulous finalists, recorded at their Round One Recital performances held at the Eastbank Centre, Shepparton on 3 September, 2018. All clips open on YouTube in a new tab. Watch this brief clip of Australian National Piano Award 2016 Winner, Tony Lee, as he plays Sonata in B flat major, Op.27 No1 (Ludwig van Beethoven) and Sonata in B flat major, Op.38 (Sergei Prokofiev). You can see more world-class playing by booking your seats now for 3-8 September 2018, as 14 of the finest young classical pianists in Australia showcase their skills in front of a live audience and three international judges. A dentist has been selected among the 12 finalists in this year's prestigious Australian National Piano Award (ANPA). When most of his competitors were studying full time at conservatoriums, Timothy Chiang was tinkling ivories of a different kind. The 28-year-old from Doncaster East works four days a week at two Melbourne dental surgeries, and saves one day a week for piano practise. He is the oldest competitor this year, after a CD of his material was chosen by a panel of adjudicators in what was effectively a blind audition. The award is the musical equivalent of an Olympic marathon. Contestants must perform four 45-minute recitals in front of live audiences, demonstrating an extensive and demanding technical and artistic repertoire. 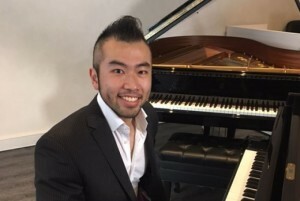 The competition takes place across the week in Shepparton, as the Victorian town embraces the country's very best pianists for the biennial event. Prize money of $65,000 is up for grabs. The grand final will be broadcast on ABC Classic FM Radio. ANPA president Darryl Coote said the aim was to propel the careers of Australian pianists on the world stage. He said recent winners Alex Raineri (2014), Daniel de Borah (2012), Jocelyn Ho (2010) and Jayson Gilham (2008) continued to enjoy sold-out concerts at home and overseas and released their own recordings. Chiang said he was daunted by the level of competition, but excited about the opportunity. He grew up in a musical household, where his mother Nancy began teaching him at the age of five. At the age of 12, he won a musical and academic scholarship to Scotch College and continues to study under Mikhail Solovei. Chiang also plays the violin and regularly plays in a contemporary gospel band. 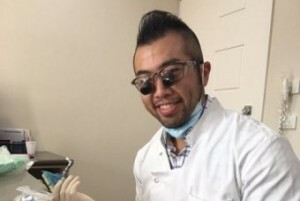 He chose not to pursue formal tertiary music studies, opting to become a dentist instead. "Every person has their unique personality with something different to add," he said. "For me it is about being very true to what you believe in expressing the music and being very genuine." His mother said she was very hopeful that Chiang would be successful saying "he has prepared very well". Young pianists from all over Australia have been competing in the Goulburn Valley for big money prizes in the National Piano Award. 7.30 Victoria ran the following segment on their program on Friday 12 September 2014. Classical pianist Ben Austin is one of 13 pianists under the age of 30 competing for the Australian National Piano Award, held in Shepparton, Victoria. Ben was interviewed by Ashylnn McGhee from ABC Television Breakfast News Program, which aired in the morning on ABC on Friday 29 August 2014. The interview was conducted at the enormous showroom at Exclusive Pianos. Mark O'Connor from Exclusive Pianos have been partners with the Award since we began. Thank so much guys for all your support. Watch the interview at the ABC News website. Here's a short clip of 2014 competitor, Ben Austin, filmed during his interview with ABC News. This video showcases the finalists from our 2012 competition.